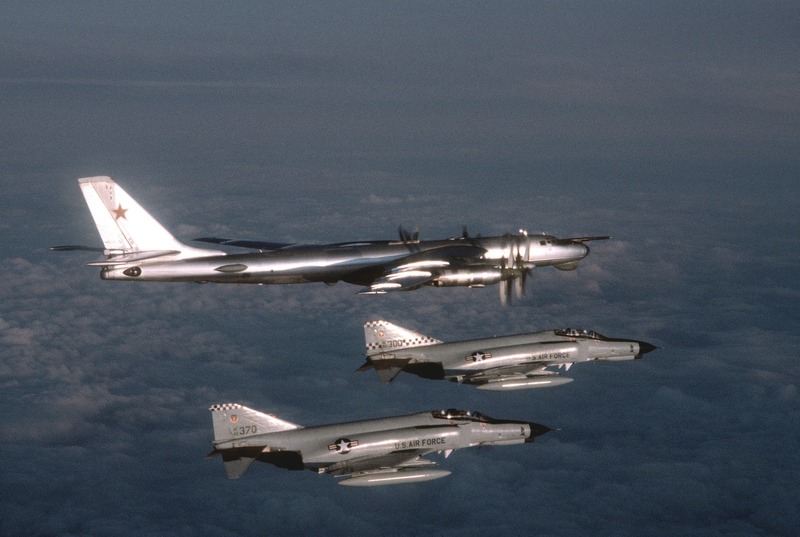 Elements Of Power: F-4s Over Iceland? Feels Like Old Times! F-4s Over Iceland? Feels Like Old Times! Luftwaffe F-4Fs of Jagdgeschwader 71, the Richthofen Squadron, are returning for their second round of keeping the Icelandic ADIZ free of intruders. This has been a rotating NATO mission since the US pulled their F-15Cs out in 2006. Before the F-15s flew out of Keflavik, the 57th Fighter Interceptor Squadron, aka "The Black Knights of Keflavik" flew F-4Es from about 1978 to 1985, with F-4Cs, F-106s (for a few months) F-102s, and F-89s going back to the mid-50's before that. 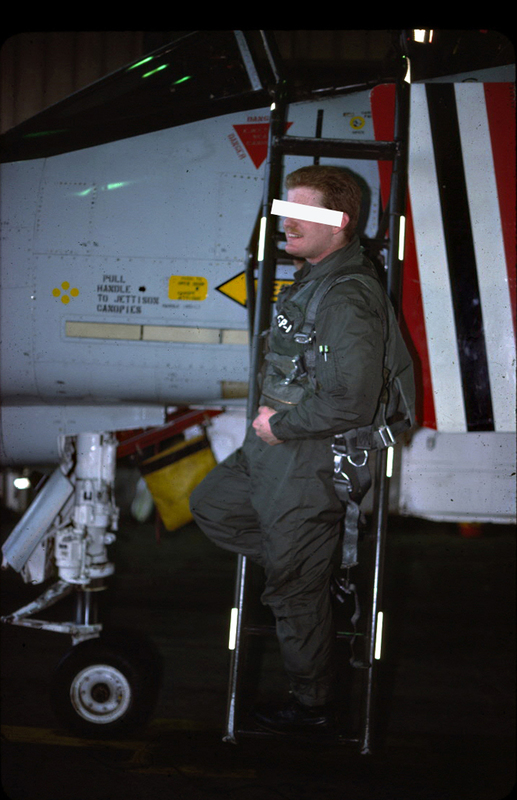 This photo comes from Wikipedia Commons showing what we did A LOT of between 1980 and 1982 (but it looks similar to some slides I have that were given to the 57FIS by a LIFE magazine photographer who flew with us on condition they NOT be published -just sayin') . Mil Std 1553R digital data bus. 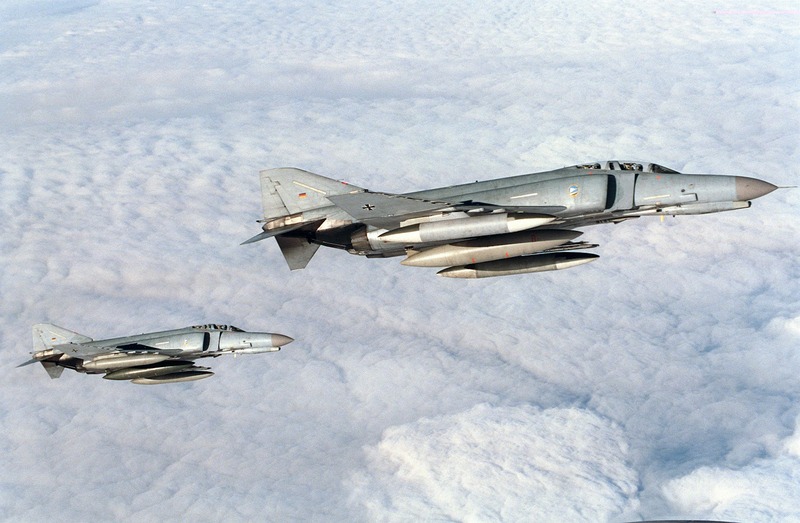 All the above created an F-4 that could carry AMRAAMs and employ them by tracking and engaging multiple targets in a 'fire and forget' fashion. The mods created an F-4F that was like a longer-range F-18D that could go Mach 2.2 but also leaks more hydraulic fluid. The F-4F's top speed is about 10% higher than the Eurofighter's (Mach 2.2 vs 2.0) which would give them only a very slight edge intercepting Tu-160s if the Russians start sending them down the GIUK gap more frequently. Alas, all the references I can find as to the future of the F-4F is that all are to be replaced sometime this year by Eurofighters. So this is probably the Phantom's 'last hurrah' in Iceland. Regular readers know that I eschew sentimentality on the subject of defense, but that doesn't mean I don't experience it. One doesn't forget his first aerial view of Snæfellsjökull in winter: especially when it comes from the back seat of an F-4. Note: The 'FIS' didn't fly with G-suits at that time. 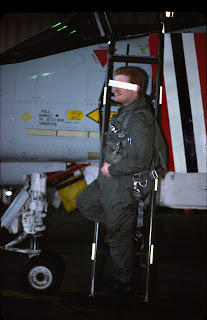 Nothing that could pull high-Gs had the legs to come play with us, and underneath that flight suit is a very bulky exposure (aka 'poopie' suit) that provided nominal compression. Without the exposure suit a man couldn't survive in the North Atlantic long enough to get into his life raft. With it, he just might.